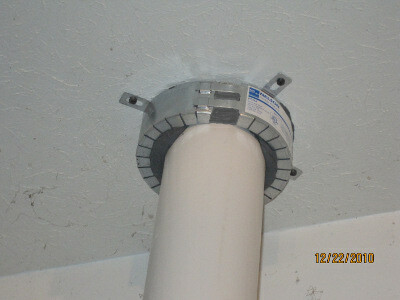 I wanted to thank you again for all of your good advice regarding my radon mitigation project. I went ahead and installed the fan in the attic as we discussed and left a bit of head room since I'm waiting for the snow melt before cutting through the roof. 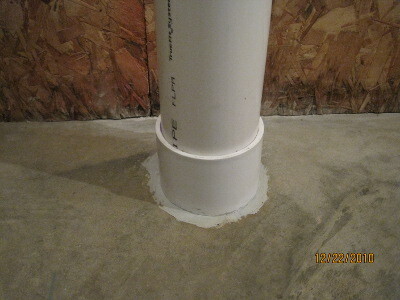 I did put a temporary 90 elbow on it to vent it back into the open area of our attic. I finished up last week after talking with you on the phone. 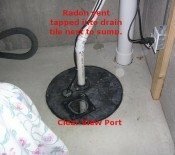 I'm the Indiana guy with a 22 radon reading before my project started. 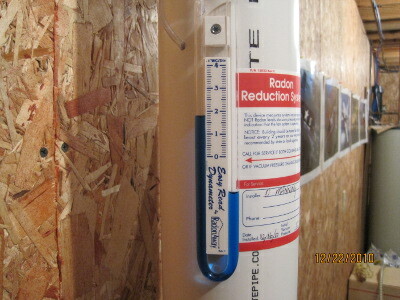 I waited about 36 hours before resetting my radon tester for a new reading. My initial tester reading after the 48 hr wait is 2.9! We are very happy with these results. I'm also really pleased with the way it turned out looking. It really doesn't look like a DIY job which kind of surprised me. I'm certain that your advice to go with a separate hole through the floor rather than pulling from the sump pit was the right call. I also think your advice to take at least 30 gal of dirt/sand out of the hole helped tremendously. I really appreciated all of your help and will certainly encourage my neighbors to seek out your site for parts and advice. Thanks again. I occasionally help out a few of my neighbors with household projects so I may contact you again for more helpful advice. 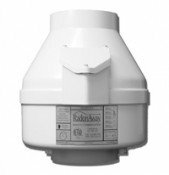 We apparently have high radon readings throughout our neighborhood so I'm going to spread the word.